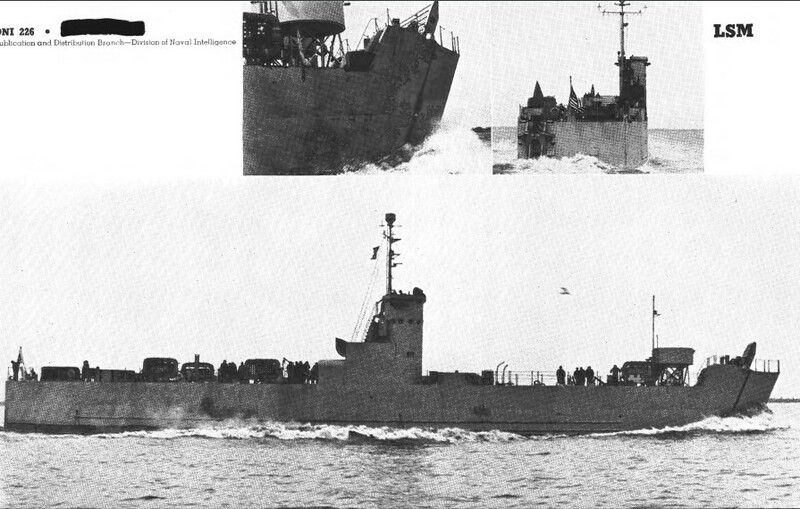 Some versions appear to have been armed with 8 20mm Oerlikon in place of the Bofors. 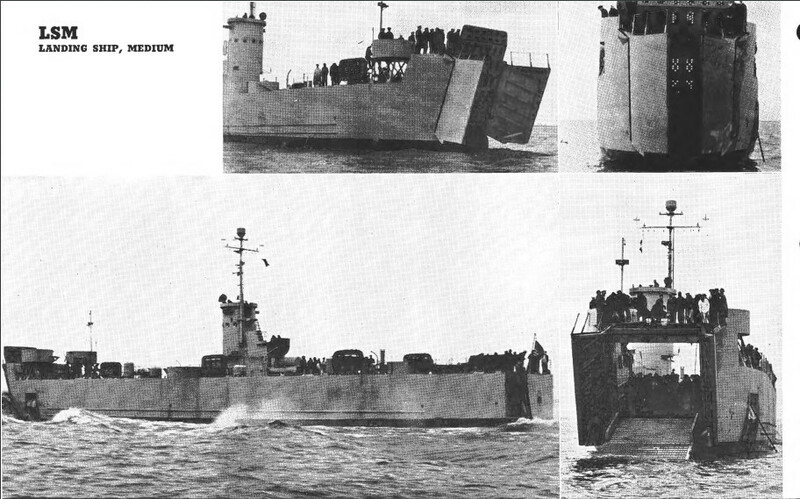 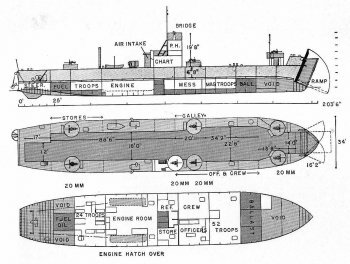 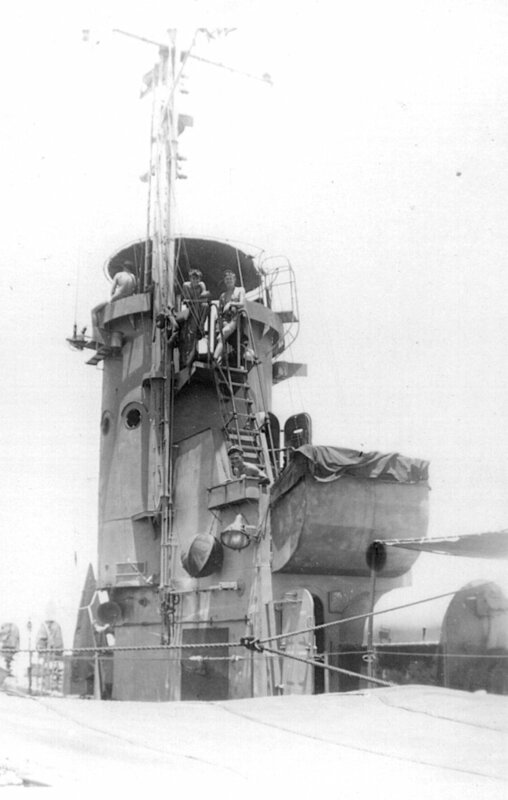 Landing Ships, Medium, or LSMs, were a kind of cross between the LST and the LCT, combining the sea keeping qualities of the former with the carrying capacity of the latter. 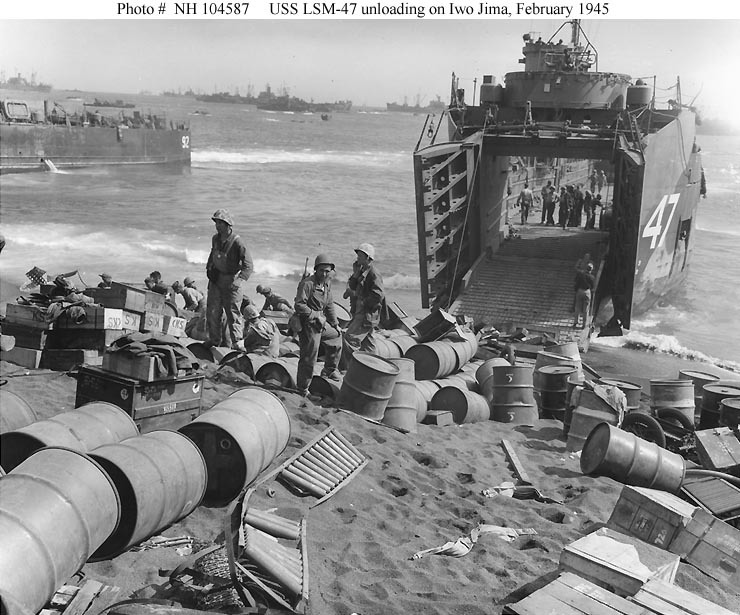 This afforded greater strategic flexibility by allowing an amphibious force to be loaded at a port at a considerable distance from the objective. 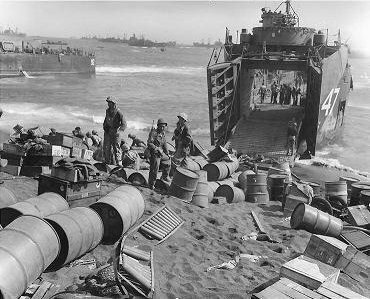 About 528 were produced from April 1944 to the end of the war. 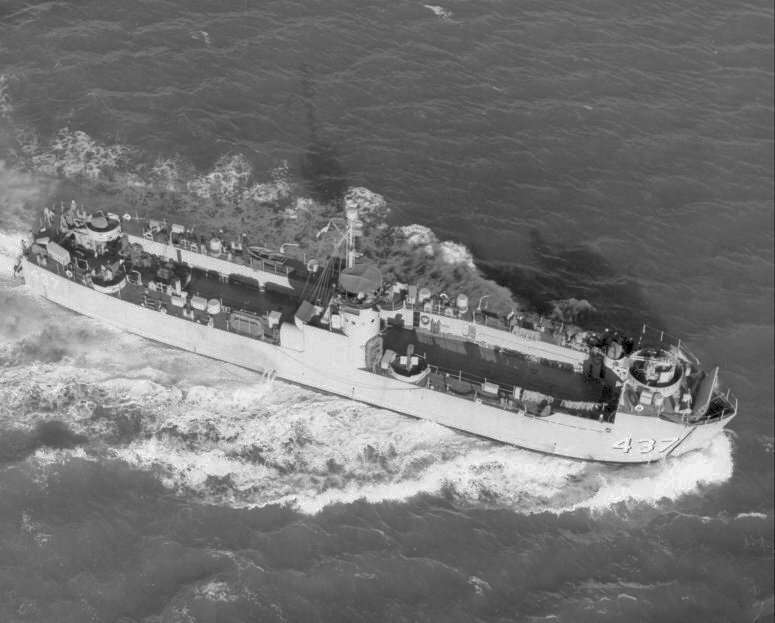 As with the other larger landing ship classes, some LSMs were converted to fire support ships by giving them heavier armament, particularly 5" (127mm) rockets. 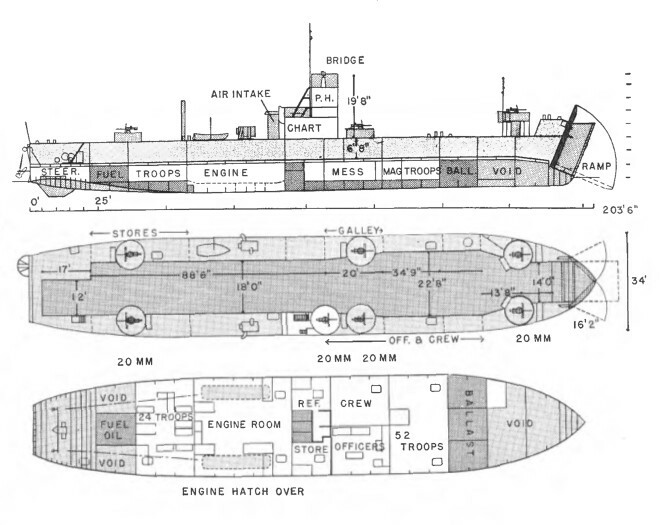 The LSM conversions had automatic reloaders and could launch 30 rockets a minute.